In 2018, fruit of its commitment to technology, the Mutua Madrid Open was innovating once again by becoming the first ATP Masters 1000 or WTA Premier Mandatory event to broadcast matches live in virtual reality. Eight months later, and as a result of the success in the Caja Mágica, the Australian Open has followed in the footsteps of the Mutua Madrid Open by using the same technology to make it the first Grand Slam in the world to broadcast matches in 360 degrees. This experience allows fans of the sport to enjoy immersive experiences with VR glasses, a computer or a mobile phone and, in this case, all followers of the Australian Open can enjoy the 360-degree broadcasts by visiting the leisure zone at the tournament, which concludes on 27 January. Last season, the inclusion of the 360-degree experience allowed fans to put themselves in the shoes of Rafa Nadal, among others, and feel what the Spaniard feels when he plays a winning forehand, as if they were on the Manolo Santana Centre Court, a feeling that is being replicated this week in the Rod Laver Arena. “Virtual reality allowed fans to enjoy a unique experience at the last Mutua Madrid Open” said Gerard Tsobanian, the tournament’s President and CEO, who is in Melbourne this week. “It is satisfying that an event like the Australian Open, which has a similar approach to technology as we do, has decided to follow in the footsteps of the Mutua Madrid Open. It has been a pleasure to help them and facilitate their use of this state-of-the-art technology. For 2019, we are planning on expressing our spirit of innovation even more, with the help of our great partners Samsung and Orange”. This innovative development, which was born at the Mutua Madrid Open and has now reached Australia, owes its success to Yerba Buena VR (YBVR), a Spanish start-up based in Silicon Valley and in Madrid, which specialises in broadcasting sports events in 360 degrees. Its cutting-edge technology, established in the Caja Mágica thanks to the technological support of Samsung and Orange, made the daily broadcasts a resounding success that allowed fans to enjoy an immersive experience. Consequently, the start-up has been entrusted to replicate the model at the Australian Open. “Just 7 months ago, the Mutua Madrid Open gave us the chance to try out YBVR’s immersive technology at the tour’s most innovative tournament”, stated a celebratory Héctor Prieto, CEO of YBVR. “Thanks to that, we have become true pioneers. For the first time at a Grand Slam we are distributing live tennis matches online from the Australian Open in 360 degrees and in incredible quality”. 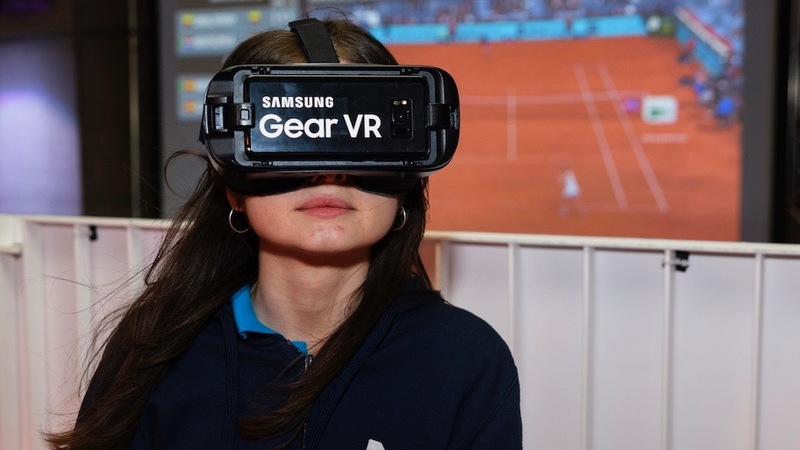 In May 2019 the Mutua Madrid Open will be looking to maintain its technological leadership on tour, by continuing with virtual reality and presenting new innovations for consolidating the pioneering DNA that has been driving the tournament’s growth for more than a decade.